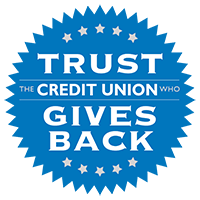 Mansfield, Texas – December 9, 2016 – Texas Trust Credit Union once again was a lead participant in the Mansfield Toys for Tots Toy Drive held at the MISD Center for the Performing Arts. The credit union presented a check for $5,000 and delivered a busload of toys in a restored 1956 Chevrolet school bus. In addition, Texas Trust hosted a special family zone complete with an antique sleigh and an area to mix up “magic sparkling reindeer food.” Families took advantage of sitting in the antique sleigh for an old-fashioned Christmas picture. Children had fun creating the magic reindeer food, which when sprinkled on the lawn on Christmas Eve helps direct Santa’s reindeer to their home and provides a snack for those hard-working reindeer. 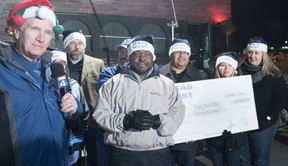 Ron Smith, senior vice president of retail operations at Texas Trust, was on hand to present the check to the Toys for Tots. Volunteers from Jobe Middle School National Junior Honor Society assisted Texas Trust employees at the event. 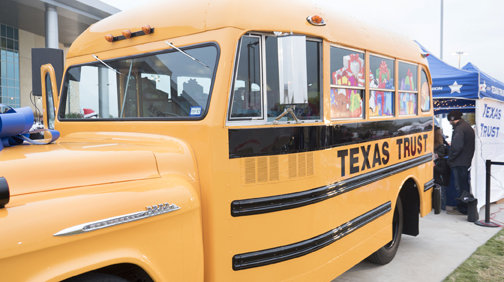 The event included photos with Santa, train rides, a sledding hill, bounce houses, and the annual mascot races, featuring Texas Trust’s Cash the Eagle and mascots representing each of Mansfield’s high schools and other local businesses. The event was broadcast live on the local Fox affiliate.